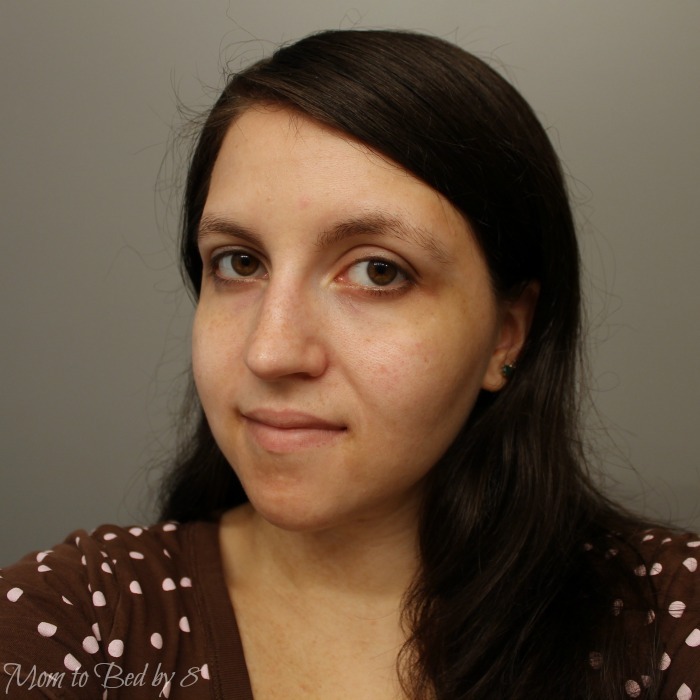 I let you guys last week into my big beauty problem secret: I’m an adult who still gets acne. My doctor says it’s from stress. I say, “Duh. Kids.” My cleanser options have been pretty limited for the last couple of years. I can use a heavy cleanser from the supermarket, the same one that I used as a teen, but I’ve found that it leaves me with tight dry skin. Wrinkles like dry skin, so that’s a bad idea. Plus it encourages my face to overcompensate with more oil. I don’t want to trade one kind of face monster for another. I’ve been on a mission to find a new cleanser for a while now. I’ve done first impressions for some of them on Youtube, I’ve ordered samples from direct sales companies, I’ve gotten full-sized bottles from five different beauty brands. 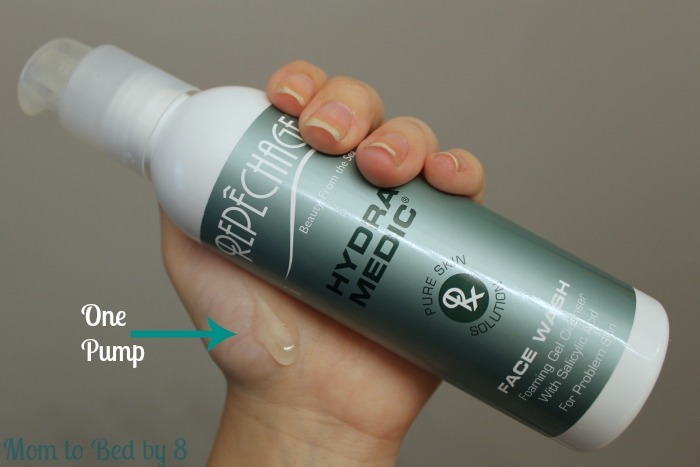 The Hydra Medic® Face Wash Foaming Gel Cleanser from Repêchage looked promising because of how well-reviewed their other skin care products were, but it made me nervous. I have a pretty strict limit that I’ve put on what I will spend per product and to be honest, it was a little above it. I tried it anyway though. I couldn’t say I’m really trying to find a new cleanser if I didn’t try all of them that had promise. That’s two posts in a row that I’ve shown you guys my #NakedFace. This calls for a good makeup post and soon! This cleanser has been a part of the Repêchage line for a little over a year now. Like a lot of their skin care line, the cleanser has seaweed and tea ingredients. They’ve always been proud of their natural ingredients and it makes me a little more comfortable using it. It also has three strong essential oils for fighting skin problems. Ylang Ylang Oil helps to clean and smooth skin, lavender is anti-inflammatory and anti-bacterial, and basil is also anti-inflammatory. The cleanser is a clear, loose gel and comes with a pump that will give you around a nickel-sized amount. It didn’t foam up quite as much as I wanted the first couple of times. I wet my face and hands, pumped out some cleanser, and washed up as I had with the last one. I had a lot better results when I washed my face in the shower after sitting in there for a few minutes. It let my pores open up and the extra water made a lot more suds. Now I’m using it in the shower in the morning and again before bed at the sink. When I’m doing it at the sink, I add another quick splash of water on top of the little dab of cleanser in my hand before I use it. I have one pimple on my forehead. That’s it. I’m using the Repêchage cleanser and my new favorite face cream twice a day as a part of my skincare routine and it’s been wonderful. The combination of products is soothing and doesn’t dry me out. My “limit” for skin care products has always been $20 and this one is $30, but I’ll be re-purchasing it for two reasons. One, it works. Two, the size of the bottle is pretty significant and I feel like I’m getting a lot of uses from that $30. I’m almost out of my charcoal mask, so I’m really interested in trying the Hydra Medic mud mask that goes with this cleanser and see if it boosts my skin’s appearance at all.